Joel Makower, chairman and executive editor of GreenBiz Group Inc. and creator of GreenBiz.com, will provide a preview of his annual “State of Green Business Report,” describing what is and isn’t working in the growing sector of green business. His free lecture begins at 5 p.m. Monday, Feb. 17, in the W.A. Franke College of Business Gardner Auditorium. 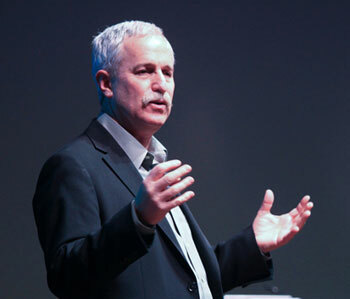 Termed the “Guru of Green Business Practices,” Makower is a prominent voice on business, sustainability and innovation. His presentation falls on the eve of the sixth annual GreenBiz Forum, a conference for business and economic development professionals and entrepreneurs that defines the trends, challenges and opportunities in sustainable business. Makower is a regular commentator on environmental topics for National Public Radio’s “Marketplace” and is an invited speaker for companies, industry groups and business schools around the world. For information, email Holly.Yeager@nau.edu or call (928) 523-0497.